And on That Farm - Ei-Ei-Oh! 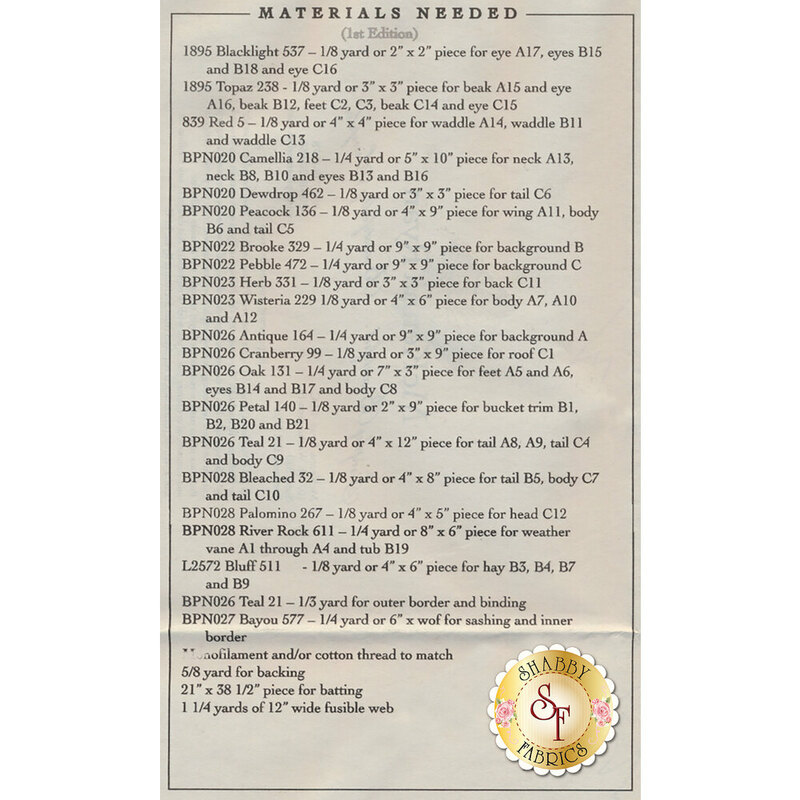 is the block 2 applique pattern for And on that Farm Quilt by McKenna Ryan. 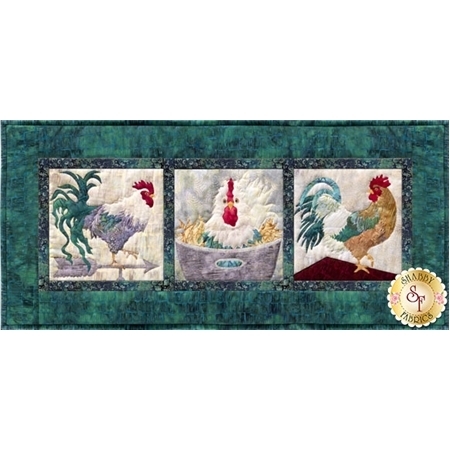 This quilt block features 3 colorful chickens! Finished quilt block measures 32 1/2" x 15".